My name is Khulgen and I'm from Mongolia. 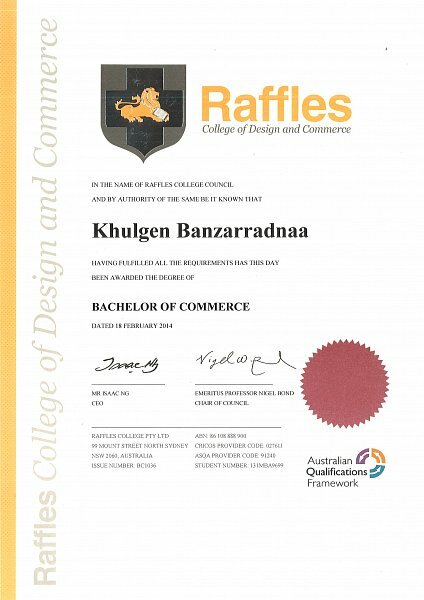 I have graduated from Raffles International Institute majoring Business Management. Currently, I'm studying German A2 level in order to join the master program at the University of Vienna. 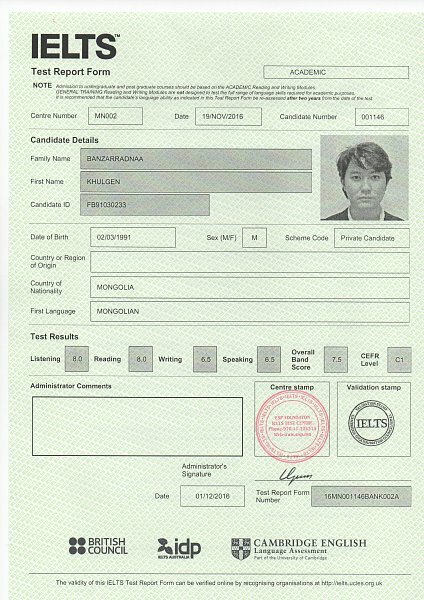 Moreover, I have an IELTS score of 7.5. I'm very excited to teach English for other people. So please do not hesitate to contact me. Falls Khulgen nicht antwortet, meine Anfrage automatisch an weitere Nachhilfelehrer senden.